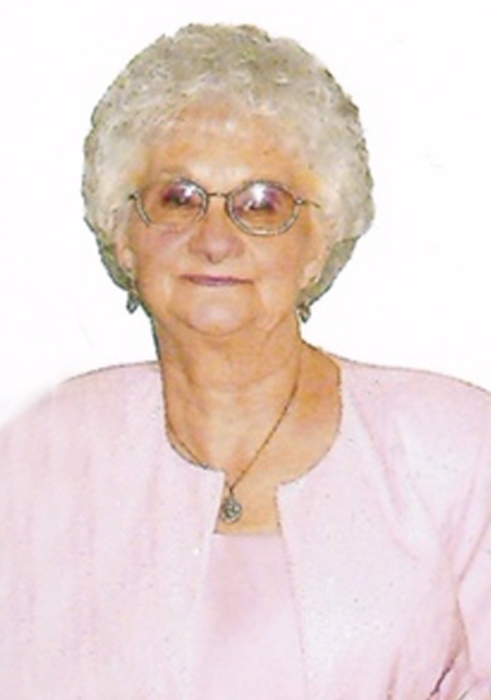 Edith Frances Cline Hancock, age 83 of Allen, KY wife of Clyde Hancock, passed away Saturday, November 10, 2018 at her residence. She was born October 19, 1935 in Draffin, KY, a daughter of the late Allen and Roma Owens McPeak. She was a member of the Riverside Baptist Church. Along with her husband, she is survived by one son: Earl Allen Cline (Sherry), Allen, KY; one daughter: Teresa Ann Cline, Allen, KY; one step-daughter: Pamela Ruiz, Clarksville, TN; one brother: Franklin McPeak; one sister: Mary B. Branham, Mesa, AZ; three grandchildren: James Donald Spurlock (Angela), Mary Frances Spradlin (Shawn), Alanna Michelle Cline; two step-grandchildren: Sara Roberts, James Ruiz; four great grandchildren: Rylee P., Reagan P., Tucker A. Spradlin, Annalee D. Spurlock and one step-great grandchild: Grant E. Roberts. In addition to her parents, Edith was preceded in death by her first husband: James Claude Cline; one son: Michael Cline; three brothers: Arthur, Doug, Harry McPeak; two sisters: Juanita and Nanny Joyce McPeak. Funeral service will be conducted Tuesday, November 13, 2018 at 11:00 am in the Hall Funeral Home Chapel, Martin, KY. Burial will follow in the Davidson Memorial Gardens, Ivel, KY and visitation will be after 1:00 pm Monday at Hall Funeral Home.